Kobe Japanese Steak House & Sushi is a fun destination for Oak Island visitors who are in the mood for something a little different, but which is still well-suited for the beachy environment. Renowned for its sushi, and featuring a full Japanese Steak house experience and menu, patrons will be treated to a fine Japanese meal without ever leaving the shoreline. 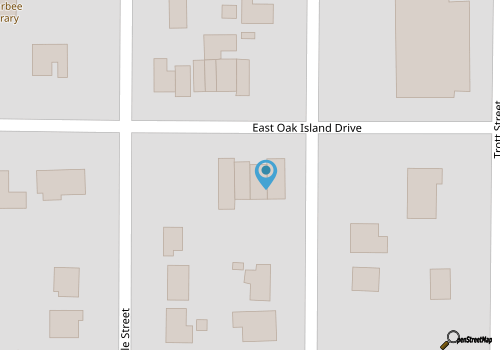 The restaurant is found on Oak Island Drive, just off of Country Club Drive, which makes it fairly easy to reach for visitors who staying both on island and slightly inland. While there are plenty of tempting steak, seafood, chicken, and veggie dishes which can be enjoyed Teriyaki, Tempura, or Hibachi style, frequent patrons swear by the sushi, which takes up a big chunk of the multi-page menu. There are more than 25 rolls and hand rolls to choose from, as well as an additional 20 “House Special Rolls” that are sure to give sushi fans a lot to choose from. Utilizing a big assortment of coastal ingredients, like spicy shrimp, scallops, tuna, and crab, patrons can enjoy a roll or three that perfectly complements their Oak Island surroundings. All in all, it’s a fun destination that’s sure to be a different and distinct crowd pleaser for vacationing families. Call (910) 933-4405 for current hours.